What is a Lienholder? How Do They Affect a Car Title? A lienholder is the lender that owns your car or other property. Until you pay them back in full, they retain ownership over that property. This lienholder could be your bank, a financial institution or even a private party. Basically, they have the legal claim to your property because they gave you the money to buy it. You might see the name of your lienholder on your car title or insurance policy. We are going to dive deeper and take a closer look at what the lienholder is, what their rights are and how to get out of a car lien. Lienholders will require you to purchase a certain level of car insurance. This protects their investment should the vehicle become damaged, destroyed or stolen. Most of the time, they require comprehensive and collision coverage on the policy. Collision helps you to repair the car if it’s damaged during an accident. Comprehensive will repair your car if it receives damage from theft, fire or natural disasters. Once you pay off your loan and are released from the lienholder obligations, keeping collision and comprehensive are choices you can make. Sometimes, the lienholder will also require that you purchase additional coverage just in case your vehicle is totaled. This is called lease or loan gap coverage. Basically, it covers the additional amount between the value of your car and the loan amount should something happen to the car. This protects you because most times, your new car is worth less than you owe thanks to depreciation. With this protection, you won’t be attempting to pay off a car loan on a vehicle that’s been destroyed. Often, when you borrow for a car, the lienholder will keep the title. Their name is often printed right on the title. That’s because your car title is proof of ownership to your vehicle. This ensures that you can’t sell the car until your loan is paid off. Once you repay the loan, the lienholder will sign the title over to you. Most companies claim that this process takes about five days. Then, you submit the appropriate paperwork to your local DMV and receive a title in your name. At that point, the car is yours to keep or sell as you wish. Does This Car Have a Lien On It? One of the biggest concerns for people looking to buy a car is whether or not there’s already a lien on it. It’s a good thing to worry about since buying a car with a lien proves to be a disaster. The original lienholder can legally repossess the car, even after you buy it. That’s why you want to check for car title liens before making any purchase. Can I Buy a Car With a Lien? What if you find a car you really want, but it has a lien against it? Now what? You do have some options in this scenario. Maybe the owner paid the debt but the title hasn’t been changed yet. Have them contact the lender and get the ball rolling, so you can buy the car with a lien against it. Otherwise, you won’t be able to register the vehicle in your name. If the owner still has debt on the car and you are planning to finance it, you can talk with your lender and see if they are willing to transfer the other person’s debt to you. Just give them the current lienholder details and they will work on having the title and lien transferred as one. If your seller wants to use the money from the sale to pay off the loan, meet at the lienholder’s office to perform the transaction. You can pay the lienholder directly and get a record of the transaction. We recommend that you don’t pay the owner and simply trust them to pay off the loan. If they change their mind, you would be out the money and have a car that could be repossessed. If the lienholder isn’t local, you can have the funds held by an escrow service. Just split the fees for this service with the seller. Once you’ve paid off the loan, it’s easy to remove the lienholder’s information from your title. Start by checking your car title to see whose name is listed. It should be issued in your name and theirs. By researching this ahead of time, you know who you need to contact to pay off the loan. Contact the loan holder and arrange to pay off the loan. Once it’s been satisfied, the lender should send you an automatic confirmation along with their instructions to remove their name off the title. There are times, however, that you’ll have to contact them further to get this done. The best course of action is to request a letter that confirms the loan has been paid off. You can also have them fill out Form MV-901 which proves that you paid the debt. Either way, this form will need to be filled out, so you might as well get it done now. Take that MV-901 form to your DMV. If the lender also gave you a letter, you’ll want that with you as well. Ideally, it should be sealed in an envelope with the company’s letterhead prominently displayed. At this time, you need to complete any other paperwork required by your state. You’ll also have to pay any fees that are associated with transferring the title into your name. 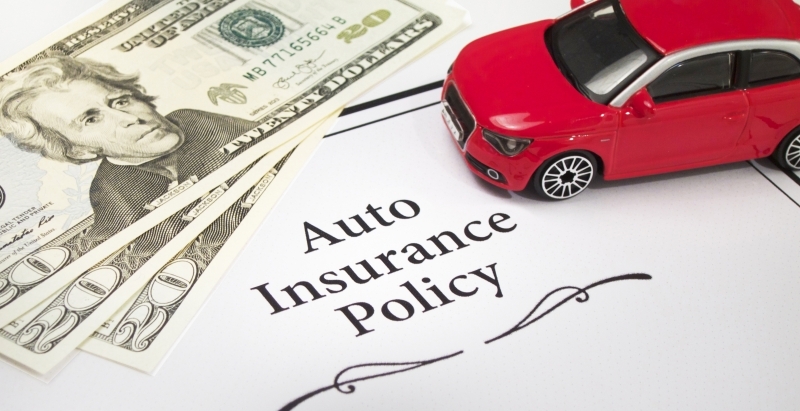 Once the car is legally yours, you can choose to do whatever you want (within state regulations) regarding your insurance coverage. This means you are now free to sell the car if you want. Everyone hopes that they never have to deal with lienholders, but in most cases, it has to happen. Most people don’t have the resources to buy their next car with cash, which makes loaning the money the ideal way to go. It’s essential that you understand the power the lienholder has over your vehicle and how to protect yourself from buying something that can’t be titled to you. If you have any questions about this process, feel free to call the experts at Title Gods. Newer PostWhat is Frame Straightening? Is It Safe? Is It Necessary?